It is safe to say that oats are among the favorite grain choices here in North America. 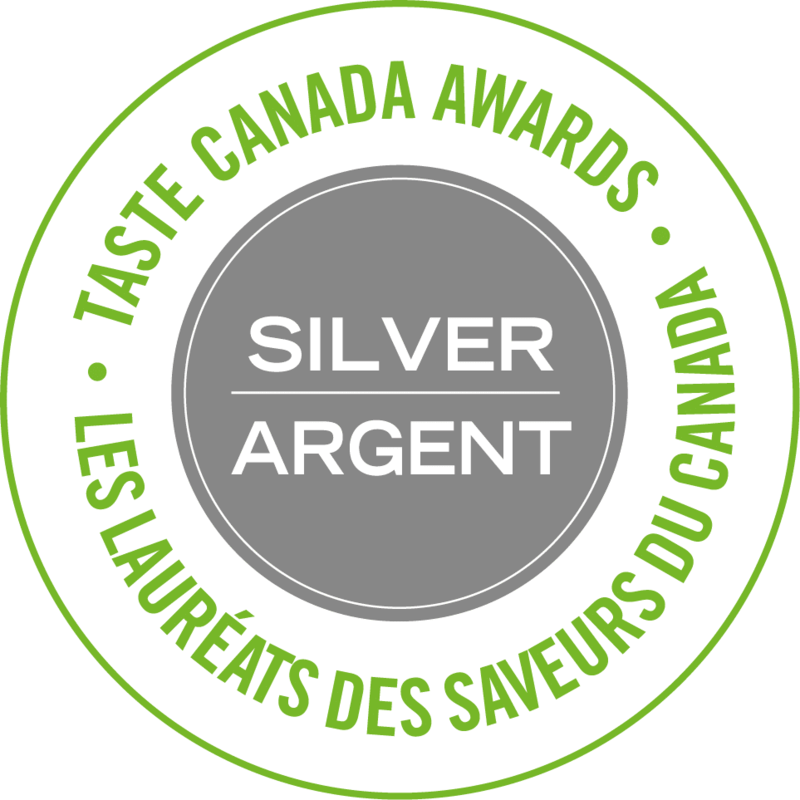 They are an absolute staple in our house, reinventing themselves through granola, muffins, scones, summer fruit crisps, and much more. Easy to source, affordable and nutritious, oats of every variety should be stocked in your pantry! Oats don’t have their germ and bran removed during processing, and so they bring you the nutritious rewards of the whole grain to be enjoyed a myriad of ways. A source of both protein and carbohydrates, oats offer a reliable source of energy, making them an ideal choice for breakfast. I was raised on porridge and now my boys and I enjoy it every weekday morning. I’ve even been known to pack a baggie of quick oats with me when I travel! At home, a turntable on our dining room table holds glass jars, each housing an assortment of oatmeal toppings: toasted almonds, golden raisins, wheat germ, organic honey, golden flax seed, and dried cranberries. The garnish may vary, but hot oatmeal in the morning is our constant, and we wouldn’t change for all the Kellogg’s in the world. Quick oats are the best choice when your toddler is banging his spoon on the table demanding breakfast. They cook up in just a few minutes and contain just as many nutrients and goodness as rolled or steel-cut oats. They are groats that have been first steamed, then cut into a few pieces and crushed into very thin flakes. The rapid cooking time make them our breakfast of choice most mornings and I’ve been known to fold a handful of them into the occasional batch of cookies for added nutrition. Quick oats are not to be confused with ‘instant’, which often contain additives and sweetener. Instant oatmeal has been pre-cooked, then dried and flaked. There’s nothing appealing about that! While its convenience is second only to cold cereal, the pasty taste of instant oatmeal makes it a hard sell for this oatmeal lover. 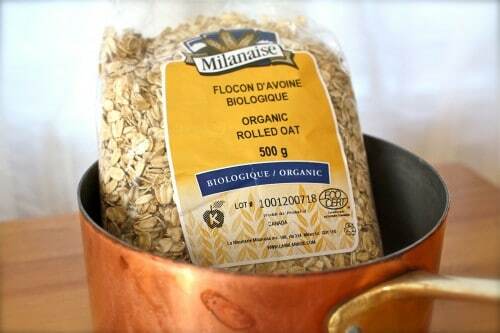 Rolled oats are groats that have been steamed to soften them and then compressed between two rollers to make them thinner. 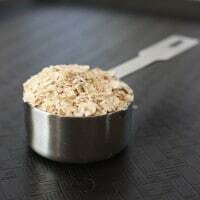 Various manufactures will roll oats to different thicknesses, which is why you will see ‘Regular’ rolled oats (typically with Quaker, etc) and ‘Thick’ rolled oats. These oats cook up in about ten minutes and offer more texture and fuller flavor than the quick cooking variety. Reach for the canister of rolled oats for most baking projects requiring oatmeal and homemade granola. All summer long I toss together rolled oats, flour, sugar and butter and we enjoy it as a topping over baked fresh fruit crisps. 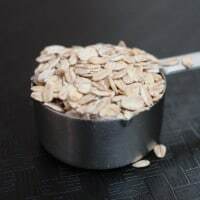 These whole groats were sliced crosswise into a few pieces during post-processing and are a favorite among oat aficionados for their chewy – as opposed to mushy – texture and full flavor. 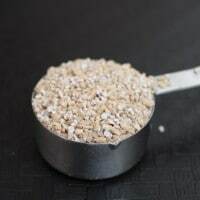 Steel-cut oats are also sometimes called Scotch (or Irish) oats and take the most time to cook by a long shot –up to 40 minutes. Steel-Cut oat lovers are passionate about their grain, and once you’ve tried them, it’s not easy to go back to instant oats, save for the convenience. This personal favorite recipe could almost be mistaken for dessert. But, no, the satisfying breakfast is as healthy as it is delicious! Steel-cut oats are toasted in browned butter, bringing out their nutty flavor, and cooked for nearly 30 minutes to ensure they are creamy. A simple topping of pears roasted with vanilla and sweetened with agave nectar rounds out this special dish, and pistachios add a satisfying crunch. Get the oatmeal started by heating the 2 tablespoons butter in a 3-quart heavy sauce pan over moderate heat. Allow it to foam, and turn slightly golden in color. 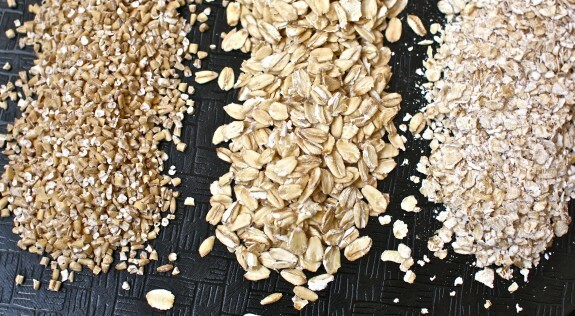 Add oats and stir for about 4 minutes to gently toast the oats. Carefully add in boiling water (it will send up a cloud of steam!) and salt, and boil hard for ten minutes. Stir occasionally. Oats will thicken slightly. Reduce to medium-low heat and simmer, stirring occasionally, for another 20-25 minutes. Meanwhile, prepare your topping by melting 1 tablespoon of butter in a sauté pan or cast iron skillet. Add pears and cook gently for a few minutes. Sprinkle vanilla powder over them and a pinch of salt. Drizzle with agave nectar. Simmer, turning the fruit once or twice, until pears are quite soft. Stir in pistachios. Divide oatmeal into bowls and top with spiced fruit & nuts. Drizzle agave syrup over everything and serve hot with cream or milk. The Scots are well known for their hearty breakfasts – sausages, beans, eggs, porridge – and these traditional oatmeal scones ensure no one gets up from the table hungry. Sturdy, flavorful, and utterly satisfying, they are best enjoyed warm from the oven with a cup of tea. Mix together flour, oats, cane sugar, baking powder and salt in a medium bowl and make a well in the center. In a small bowl, beat egg well, then add in milk and melted butter. Pour egg mixture into the dry ingredients and gently stir together with a fork. Do not over mix. Divide dough in half and pan into two 7-inch circles on parchment paper. They should be nearly 1 inch thick. Score an X in the top on the scones. Brush tops lightly with milk and sprinkle with cane sugar, if desired. Bake for 10-12 minutes until lightly browned on top. Remove from oven, cut into wedges and serve warm. What is your favorite way to enjoy oats? 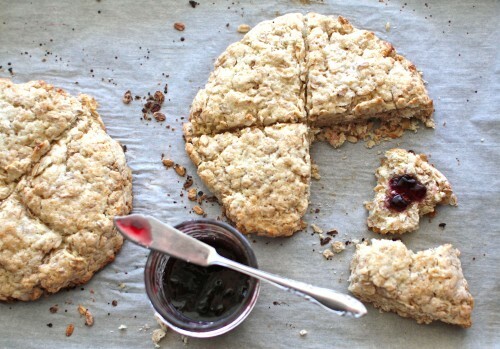 Mmm… Will definitely try those oat scones! We love oats in any incarnation, too… but lately we’ve been eating a lot of fruit crumbles (cobblers?) with the last of our leftover frozen fruit from the Autumn harvest. We use a lot of oats with a little sugar, flour and butter for our topping and it tastes divine! .-= Marina’s last blog: Almost Spring =-. I’m curious about the fruit crisps you mention in this post. Have you discussed this on a previous post (I can’t remember)? If not, please discuss soon. They sound YUMMY! Simple and delicious, fresh fruit crisps are my favorite way to enjoy summer’s bounty! 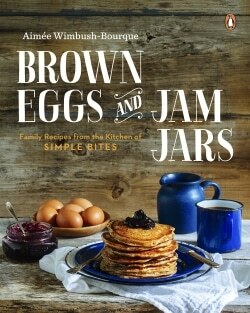 Hi Aimée, thanks for mentioning my oatmeal recipe! Those toasted oats with pears look wonderful. .-= Carolyn’s last blog: Deviled Ham. Stick with me here. =-. I eat oats for breakfast every morning, and love them so much I can’t bear to stray! It’s comfort food to me, and it happens to be healthy. I actually prefer thick rolled oats to any other (yes, even steel cut). To make them cook up even faster, I soak them the night before. I take the bowl I’m going to eat out of, scoop as much as I want, add a teaspoon of plain yogurt and add enough water to cover. I reuse the same ziplock every night to seal it up and leave it on the counter for morning. It cooks up super fast and has the best texture. The yogurt allows the oats to “lacto-ferment,” which makes them easier to digest and makes the nutrients more bioavailable. Plus, as I said, they cook faster and have a better texture! Try it. I certainly will try it, Ellen, and thanks for sharing. I’m new to all the lacto-fermenting methods, so this is very interesting. bowl of oatmeal, I absolutely love oatmeal chocolate chip cookies. .-= Jan (Family Bites)’s last blog: Five-Ingredient Chocolate Nests with Eggs and Chicks =-. Just a thought: you mentioned flaxseed as an oatmeal topping; I’m not sure if you’re aware, but to get the maximum benefit from your flax, the seeds need to be ground (and then stored in the ‘fridge or freezer. The unground seeds don’t digest well. .-= Rachael’s last blog: saturday morning running =-. Thank you, Rachel, I didn’t know that about flax seed. I love how there is a wealth of information in my comments section! What a great bunch of readers! I am a certifiable oatmeal addict, yet it’s never occurred to me to cook it any other way than the instructions on the package. The brown butter oats look incredible, I think I’ll have to pick up some pears and make this next weekend. Perfect for a holiday brunch! 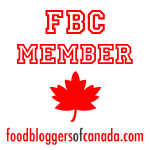 .-= Amanda’s last blog: Ode on a turkey sandwich =-. Amanda, you can use almost any fruit you have on hand–or even nuts and dried fruit; you don’t have to wait until you have pears! It’s really hard to find steel cut oats in Australia but that roasted pear recipe looks so incredible I’m going to keep trying. Thanks for the link, it’s great to find new sites this way, and your philosophy on food seems very similar to mine, I look forward to reading more. 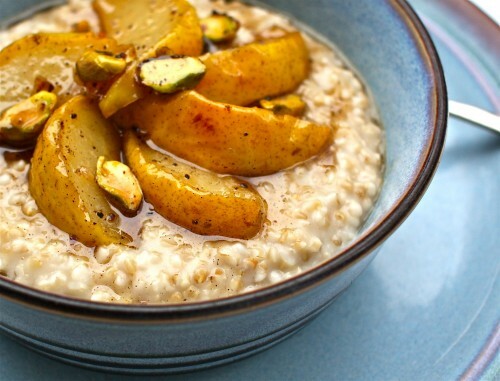 Oh that recipe for oatmeal and pears looks like heaven! I have recently renewed my love of oatmeal in the morning. I usually cut up fresh pear and add walnuts and honey. Your roasted pear and the brown butter toasted oats are truly inspired!!! .-= E’s last blog: Momofuku’s Crack Pie… Gluten Free? =-. Aimee, what a wonderfully detailed article on the different types of oatmeal and cooking methods. Thanks for the comment on my blog and the link here. Great job you’re doing here at Simple Bites. 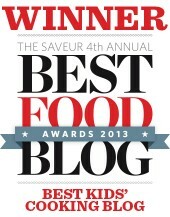 .-= Jennie’s last blog: vanilla bean buttermilk pound cake =-. Great info on all the ways to enjoy oats, thanks! I love baking with oats – the flavour and texture is wonderful. Thanks! Hey Aimee, that bowl of oatmeal looks wonderful. I’ve seen a lot of delicious looking oatmeal ideas lately, but I think your decorating on it takes the cake! .-= Nikki Moore ‘s last blog: "Indian Stew" =-. I love oats! 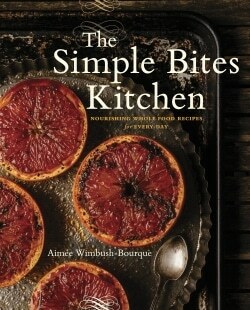 Great looking recipes and pictures! Meant to try the pear recipe for breakfast this morning – looks like it’d be right up my alley…. then realized upon waking we’re out of butter. Tomorrow is shopping, next day I’m making that beauty for breakfast! Also appreciate the informative start, love learning about fav foods. .-= Cafe Novo’s last blog: Signs are Up!! =-. Mmm…. Aimee, I want you to make ME breakfast 🙂 Great idea – it would be a nice change from our old standby. Nicely done. I usually put equal parts milk and cereal in my bowl with a teaspoon of honey and let it soak for just a bit before eating. I like that this recipe is EASY to adapt to your tastes (more or less of different oats and fruits) and is a cool oat breakfast for warm days! Thanks for sharing, Steena. This is a wonderful idea for hot summer mornings, and we get plenty around here in the summer! I imagine it would be delicious with yogourt as well. 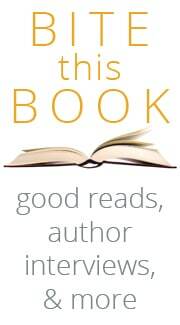 I’m going to introduce it to my children very soon. .-= Alissa’s last blog: And Time Goes On – 5 Months! =-. I love oat scones! I actually had them for the first time at a bed and breakfast in Holland. 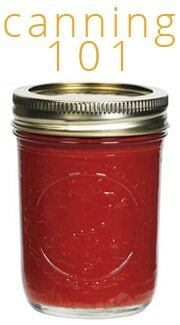 They are very filling and are great with a little jam or jelly. Thanks for sharing! .-= Tina@RideOnToys’s last blog: The Power Wheels Harley Davidson Rocks! =-. Are those the oat cakes of my university days in Nova Scotia? I will love you forever, or more, if they are. I’m constantly trying to recreate them. And I love the brown butter tip for steel cuts. I am a die hard steel cut fan for my morning oats, but I can never get enough of my oatmeal chocolate chip cookies, like Jan. But when I ran out of oats last week I subsituted some chopped peanuts for the texture. Oh yum! They might be, Cheryl. They are quite sturdy and very filling- oat cakes may be a better name for them, actually! yum! I just made the Scottish Oat Scones and they were delicious! i now soak my oats overnight (with some whey, yogurt or apple cider vinegar – rinse then before cooking) to remove most of the problematic phytic acid and then to increase digestibility – i also find that it makes a creamier texture and they cook super fast – this is definitely helpful with steel cut when you soak with boiling water since they will then cook in about 10 minutes or so. so i’m wondering how to incorporate the browning into the soaking since i love that idea – maybe brown them before soaking?? i suppose i could soak them and then dehydrate them and then brown if i want to spend 2-3 days making oatmeal! the things we do to optimize health and nutrition! any thoughts on this? I adore oat scones! And oatmeal in general. My favorite is the frozen steel cut oats from Trader Joe’s. All the quality of that 40 minute cooking time, in 4 minutes. I usually top mine with a tablespoon of half and half and a little maple syrup. SO delicious! thanks for clearing up the differences among oats. I always thought quick cooking and instant were the same and therefore stayed away from quick cooking oats. now that I know the difference, I’ll be sure to serve those up during the week when hubby is getting ready for work and I have the two little ones.